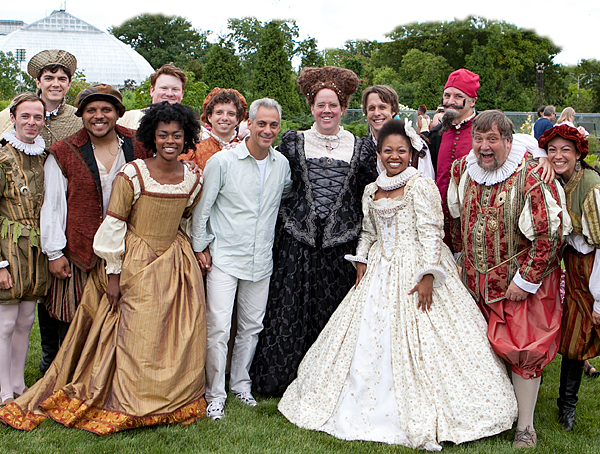 City of Chicago Mayor Rahm Emanuel with the cast of The Taming of the Shrew at the Garfield Park Conservatory. - The Late Live Show would like to remind you that its Kickstarter campaign was fully funded; because of that, ticket prices will be a mere $3 and Splitsider gave them a long piece and a thumbs-up! - The Jeff Awards accidentally omitted the category of Director - Revue from their list; it has now been updated.